Welcome to the World of Adventure! This website has been put together by RawHyde Adventures as a service to the riding community with the intention of providing an easy connection between adventure bike owners and the companies that offer products of interest to those riders. Here's some background: For the last 10 years RawHyde Adventures has operated a riding school that teaches the skills necessary to enjoy the type of motorcycles that have become known as "Adventure Bikes". We have the privilege of being BMW's official training center in Southern California, which makes us one of only 9 such places in the world that offers such services. We are considered experts in the field of "Adventure Motorcycling" and our team is constantly questioned about products and that we use, or things our clients have heard of or services that they are looking for. In our decade of providing training programs we have found that almost all owners of adventure bikes are interested in accessorizing their bikes. We have come to know most if not all of the companies that provide goods and services. But many of the smaller companies that make truly excellent components, or provide unique services are hard to find. Many of these small companies do not or cannot advertise effectively in magazines, and thus it's increasingly tough for them to be "found". We hope this site provides a solution for both you and these small companies. I'd like to make it clear that we use some of the products shown here at our training school. In those instances we'll make it known that we have experience with the company and their product. There are other instances where we don't know the company, but we think there products are cool and we'll let you know that too. Ultimately you must decide what's right for you and the type of riding you plan to do. Another frequent comment we hear at our school is that our clients; "don't have anyone to ride with". Adventure bikes are special as are their riders; the herd mentality doesn't fit… and most folks don't have a friend that owns an adventure bike… so we are trying to help there too. 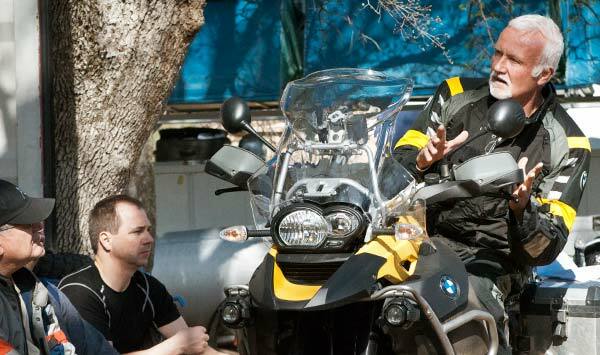 In a joint project with BMW we have begun building communities of Adventure Riders around the country. You can use this site to connect with over 50 "communities" and thousands of riders around the country. We are building more of these communities each month and our goal is to have 80 communities by the end of 2012. Hopefully you can see that we are trying to help you make connections within the Adventure Riding world. Whether you are looking for parts for your bike, riding gear… or riding buddies you can find it here. Thanks for checking out the World of Adventure. The definition of Adventure Riding is exploring the world beyond the the point where the pavement ends and the definition of the "World of Adventure" is, to be prepared well enough to safely enjoy the journey. Anyone can take any motorcycle and ride the main paved roads of the world and call it an adventure. BUT – there is so much more to see and do! Experienced travelers know that most big cities are all the same. You can find McDonalds in every big city in the world. You'll see the same cars, the same type of buildings, same brands being advertised and you can sleep in a Holiday Inn or Marriot in nearly every country. If you are honest with yourself, is that really an adventure? Real adventure comes when you break out of your comfort zone, yet you also know you are prepared and capable of dealing with what comes your way. It is possible to be confident… and still out of your comfort zone. Consider this: in Death Valley, California, a small paved road can take you to Dante's View which is a fantastic viewpoint overlooking the valley; buses come in and out in droves – hundreds of tourists a day enjoy this special place. OR – for an equally amazing view without the tourists, you could choose Agueberry Point (image below) on the opposite side of the valley. The only difference is that you'll need to ride about 6 miles on a rough dirt road to get there. The reward is a stunning view – which will be shared only by you and your friends. Few tourists make it to Agueberry Point, certainly no tour buses! 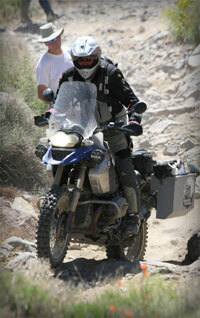 An additional fun fact is that Death Valley has only 150 miles of paved roads and over 1100 miles of dirt roads. Many of the Valley's most interesting things are way off the pavement. ADV Life is about getting off the beaten path and really exploring. The remote places of our world provide far more authentic and enriching experiences. 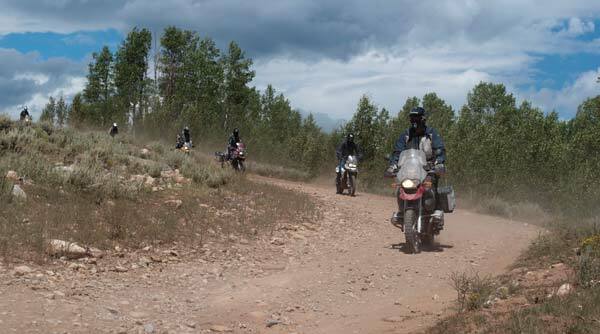 ADV life is also about preparing yourself and your motorcycle for the uncertainty of back country travel. Good protective gear for you, proper equipment for your bike, proper training and knowledge on the use of all your gear will make your ride a much more rewarding experience. Adventure Riding is what you do after the pavement ends, but everyone's experience of Adventure Riding is going to be different. Whether it's the Siberian "Road of Bones" or a dirt road in one of our national parks, everyone has a different idea of what it means to take an Adventure Motorcycle and use it in the manner it was intended. But regardless of your definition of adventure, we'd like to challenge you to break out of your comfort zone. Equip yourself, educate yourself and take a chance as an "Adventure Rider". It's easier than you think, it's safer that you think… and it's more rewarding than you can imagine. Let the World of Adventure help you get ready! The products and services available on this website can help prepare and equip you for anything you'd like to do on your motorcycle.